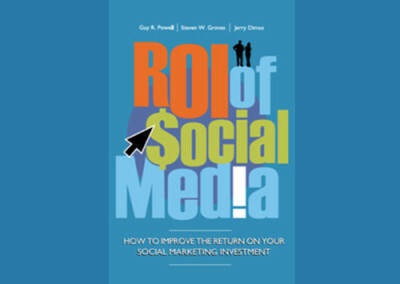 John Lovett is a veteran industry analyst and expert consultant who has spent the past decade helping organizations to understand and measure their digital marketing activities. As a Senior Partner at Web Analytics Demystified, Lovett regularly consults with leading vendors and enterprises to offer strategic guidance for building innovative digital measurement programs. 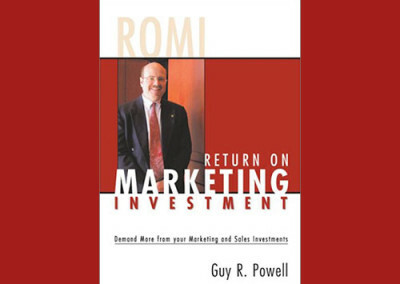 His deep industry knowledge and thought leadership help businesses transcend mediocrity using analytics. 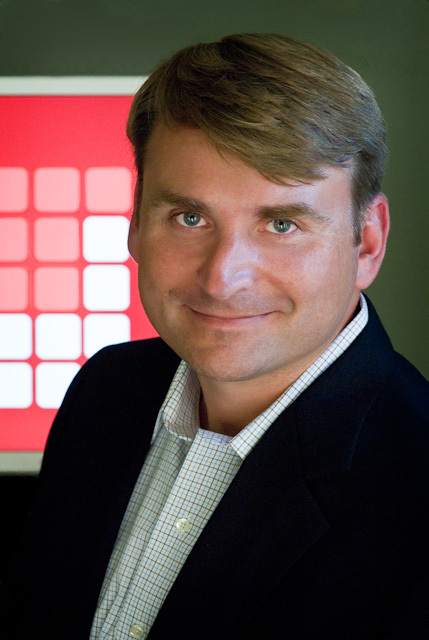 Lovett is the co-founder of the Analysis Exchange and sits on the Board of Directors for the Web Analytics Association. 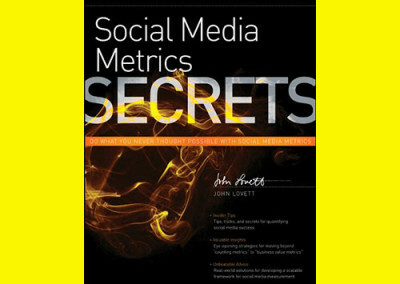 Social Media Metrics Secrets gives a solid background on what are relevant metrics to be tracking for your social media campaigns. 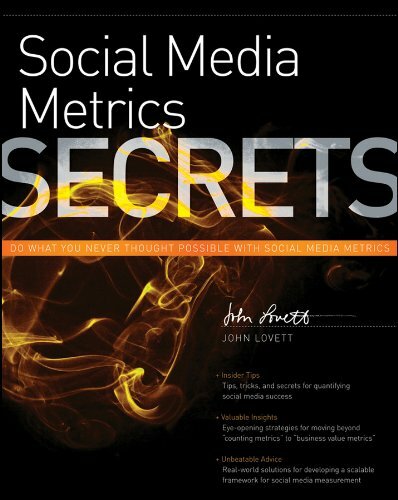 John Lovett takes traditional marketing metrics and applies them to the world of social media. 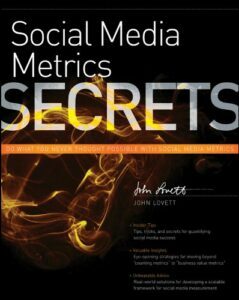 An understanding of metric driven business management (business point of view vs. social media view) will make the book more valuable to the reader. 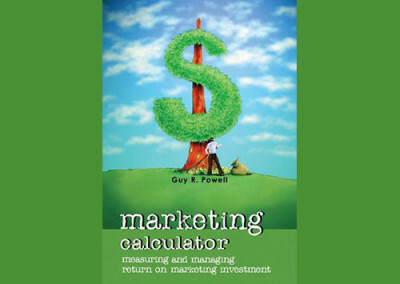 As Jack Welsh said, “if you cannot measure, you cannot improve it”.